It’s one thing to travel with your children or grandchildren and help them realise an appreciation for seeing the world. To prepare them to navigate that world on their own and to take control of their own adventures, is another thing entirely, but it’s not impossible. 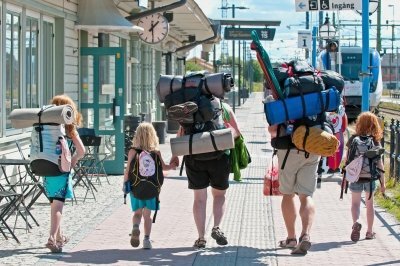 Let them take the reins when you plan your next trip – With your years of experience and being a parent or guardian, it’s easy to assume that you’re better off taking care of all the planning yourself. You know what you like, you know where to look and you know how to make it cost effective – you’re the one footing the bill, after all. The chances are, though, that the only reason you are adept at the process is because you’ve done it before, so give them some first-hand experience and the opportunity to learn for themselves. – Give them a helping hand, of course, show them where to find airfares and different accommodation options. Let them browse Airbnb for holiday rentals and experiences. When things go wrong, stay calm – If everything has gone smoothly on a trip then you probably haven’t left your hotel room. More often than not you’re going to run into awkward situations at least once. Something as simple as missing a bus, particularly in warmer climes where the bus stop might be lacking in shade, can lead to frustration. – You may feel inclined to panic or shield your children from it entirely, pretending that everything is going along as expected. Your best bet really is to be honest and stay calm. Learning to ‘go with the flow’ and accepting that sometimes plans need to change is essential to successful and happy travelling. never forget. Those statues have been there for hundreds of years – we’re sure they’ll wait until tomorrow. Not beginning to save towards your retirement until you reach your fifties would not so long ago have been considered leaving matters far too late to put anything meaningful away for your life after work. Previous generations saw building a pension as something to do over an entire career, with contributions throughout your working life coupled with investment growth being the only way to ensure your retirement pot was substantial enough to provide for you throughout your retirement. However, whilst compound interest still means that anything put away at the start of your career will see some serious growth by the time you need it much later in your life, the reality today for many young people is that they simply have very little to invest when they first begin work. 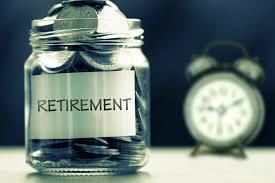 Many may find that they won’t be able to begin saving seriously until they reach middle age. The reasons for this are several. First of all, your wages are statistically likely to reach their peak for women during their forties and for men in their fifties. Secondly, as the average mortgage term is twenty-five years, most people who bought their home in their twenties are likely to have finished paying it off by the time they reach their fifties. A third key reason is the declining cost of raising children. Whilst it’s unlikely that you’ll stop giving them financial support completely, if you’ve had kids in your twenties or thirties it’s probable that the cost of providing for them will have gone down a great deal by the time you’re heading towards 50. With considerable tax relief on both ISA investments and pensions, it’s now possible to build a healthy retirement fund even if you only start saving in your fifties. For example, someone with no existing savings, earning £70,000 annually, who started saving the maximum permitted yearly amount of £40,000 at age 50 could amass a pension pot of £985,800 by the time they turn 67, assuming a 4% annual return after charges. £40,000 a year might sound like a huge amount to save every year, but this amount includes the generous tax relief enjoyed by pension savings. Our £70,000 earner would only need to put away £27,000 of their own money in order to reach the £40,000 contribution, whilst a basic rate taxpayer would need to contribute £32,000 to achieve the same. So, whilst it’s sensible to begin saving as early as you can, it is possible to begin putting money away when you reach middle age and ensure you have enough to provide for yourself later in life. The last ten years of your working life can reasonably be seen as some of the most important in terms of preparing for your retirement. Posted in Financial Planning, Paul Richardson, RetirementTagged fontaine, pascale, paul, pensions, planning, retirement, richardsonLeave a Comment on too late to start saving? As always, seeking professional advice to establish what is right for you and your objectives has to be paramount. This article is intended to give information only and not advice. Posted in Financial Advice, Financial Planning, Retirement, Tax PlanningTagged concept, financial, fontaine, help to buy, ISA, lifetime, pascale, paul, planning, redhill, reigate, richardson, surreyLeave a Comment on Help To Buy vs Lifetime: Which ISA is best? It’s been 75 years in the making and the topic for countless philosophers to muse over, but a US study seems to have finally uncovered the secret to happiness and health. Speaking during a TED Talk, Harvard professor Robert Waldinger revealed that, though wealth and fame continue to be commonly cited desires amongst millennials (those born sometime from around the early 1980s to around the year 2000), the research he presides over has found only one consistent factor: positive relationships. During the twelve minute talk, Waldinger says that the data he and his colleagues have gathered indicates that people who are well connected to family, friends and communities are happier, healthier and live longer than those who are less well connected. People who are more isolated than they want to be suffer from shorter lifespans, see their brain function decline faster and generally experience lower health and happiness levels. Other links between happiness and relationship status have also been uncovered. Whilst positive relationships can have a majorly beneficial impact on us, the reverse is true of negative relationships. The data gathered suggests that an unhappy marriage, for example, can have a more pronounced negative impact on the parties involved than the corresponding divorce would create. So, maybe it’s time to forget about your cholesterol levels, because Waldinger looked at those as well in the study’s sample group when they were age 50 and found little link between poor results and happiness and satisfaction when they were 80. Those who had positive relationships at age 50, however, were also the happiest and healthiest individuals when they became octogenarians. The message, of course, applies to us all and in many ways, but is particularly interesting for us to consider when it comes to our financial health and wellbeing. 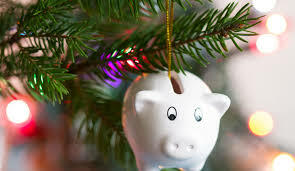 Great finances, well looked after and planned, allow us to focus on the important things in life; on nurturing those great relationships between ourselves, our connections, our partners and children. Keep working towards positive relationships and we’ll keep your money working for you and those close to you. Here’s to a happy, healthy future! Posted in Pension, Tax PlanningTagged certified, concept, financial, fontaine, IFA, iso22222, pascale, paul, planners, planning, reigate, richardsonLeave a Comment on Pension tax changes: Should you pay more before relief rates are curtailed? A recent report, ‘On the Move’, published by Policy Exchange Think-Tank researchers, explores ideas and policy proposals on how to create a more mobile workforce. One of the key policy ideas in the Report is about offering tax benefits to commuters who use ride-sharing schemes and free parking in city centres for care sharing. Drivers who offer fellow commuters a lift should be given a tax break as part of plans to increase workers’ mobility, the think-tank has recommended. The Report identified a ‘strong case’ for the Government to encourage the growth of car-sharing. The On the Move report, says that in a third of local authorities that make up the eight city regions no major employment sites (defined by having 5,000 or more jobs) are within a twenty minute commute by public transport and 80% of these Local Authorities have an unemployment rate above the national average. The think-tank says making it easier for people to travel an extra 20 minutes to a workplace would dramatically increase the job opportunities available. The report suggested such a policy would have a particular benefit in Birmingham, Leeds, Hull and Blackpool where there was already a higher than average number of car sharers. The think-tank suggested either allowing employers to give workers travel vouchers to pay for ride-sharing which could be issued before tax, or allowing drivers to keep a portion of their earnings tax-free if they offer people a lift. Why should you care about the Greek financial crisis? Does it really matter what happens to Greece? Wouldn’t it really be a good thing if it went back to the drachma, the currency collapsed and holidays became dirt-cheap again? Questions that you will likely have heard, perhaps even asked, over the last few months and weeks, and probably quite rightly so. After all, Greece is relatively economically insignificant. The economy accounts for less than 2% of the EU as a whole, and 0.4% of world trade. Greek GDP (the measure of national income and economic output) is around $241bn, smaller than some cities in the USA. Unfortunately, as with most things in economics, it’s not quite as simple as that and the Greek crisis is likely to have implications that will affect Europe as a whole and the UK individually. Greece isn’t the only country drowning in debt. Yes, Greece’s debt (expressed as a percentage of national economic output) is the highest in Europe, but countries like Italy and Portugal are not far behind. The worry is that if Greece decides to pull out of the euro, or is forced out, then investors and savers will start to withdraw money from other fragile economies. On the other hand, if concessions are made to Greece then it will encourage other far-left parties, such as Podemos in Spain, to make similar, anti-austerity demands. The situation is also worrying politically, as well as economically. Along with Italy, Greece has discussed its treatment of migrants recently, which could have knock on effects throughout the Eurozone. Prime Minister Alexis Tsipras has also made well publicised trips to Russia, and called for the end to EU sanctions against Russia over the Ukraine. As above, Greece is only a very small economy: one calculation suggests that China creates an economy the size of Greece every three months. But Greece and the uncertainty surrounding its fate, still has the power to affect world stock markets. It’s not so much what happens to Greece, as the significance of the EU being unable to resolve the problem.